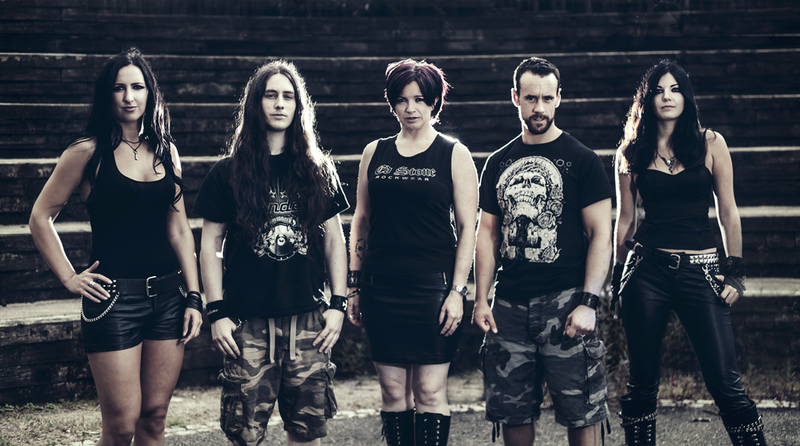 It’s not often a band is afforded a strapline as bold and grand as ‘the metalhead’s metal band’ but that’s exactly how South Wales-based heavy metal band Triaxis are described in certain quarters. With two albums under their belt to date, with a steadily-growing reputation and a loyal fan base, things are looking rather splendid for Triaxis. However, with album number three, ‘Zero Hour’ officially upon us as I write, I predict that things will only get better for the talented and hard-working quintet. If you’ve yet to read my review of ‘Zero Hour’, be sure to check it out here. To briefly quote the review though, I am on record as saying that ‘Zero Hour’ is the very best that Triaxis have ever sounded and puts the Welsh band into the upper echelons of the British metal scene’. I think I might like the new album then. After a minor mix-up over the time of the interview and profuse, yet unnecessary, apologies from Krissie, I open the conversation by asking for a brief history of Triaxis for the benefit of those coming to this article blind. “Ok”, begins a very bubbly, warm and friendly Krissie with a deep breath as if she’s about to launch into a rendition of ‘War And Peace’, “CJ (rhythm guitar) and Giles (Wilson – drums) formed Triaxis originally in around 2006 I believe. Like every band that has ever been in existence, they started by playing covers. They had a guy singer to start with, so I wasn’t the original singer. He left for family reasons and they got another girl in for about a year. They were toying with the idea of recording originals but then she went to university up Sheffield way. So an opening came up for a vocalist in Triaxis and by that time I’d known CJ for about a year and a half. I worked at the university that she studied at; she was always in my office gassing away”, Krissie laughs heartily, the first of many throughout the conversation, as it turns out. “Everyone as they went past my office, would hear Megadeth, Skid Row, Whitesnake or Iron Maiden, I was so down with the kids.” Cue a naughty, self-deprecating chuckle from the vocalist. Having filled in some of the blanks surrounding the creation of the band, I bring things more to the present by asking Krissie’s opinion of the ‘the metalheads’ metal band’ tag-line that has developed more recently. You can almost hear the awe and pride in her voice as Krissie replies. If ever there was a truer statement, I’ve yet to find it. Given the fact that ‘Zero Hour’ is so chock full of great music with a wonderful diversity to it, it would be remiss of me not to enquire about its origins and how it all came together in the first place. Krissie happily explains. Having been questioned by more than one person over my ‘thrash’ definition of Triaxis in a previous blog post, I’m naturally pleased to hear this from Krissie. However, rather than indulge in a smug ‘I told you so’, I instead let Krissie continue uninterrupted. At the risk of sounding a tad fawning, I suggest to Krissie that I personally consider her to be the female equivalent to Bruce Dickinson, principally due to the power that they both display by the bucket load. That being said, Krissie is again quick to correct me when I suggest that ‘Zero Hour’ has the feel of a album that came together thanks to a lot of jamming around with ideas in a rehearsal room. Unlike a lot of albums these days, ‘Zero Hour’ is not short of music, with a full twelve songs featuring. I ask Krissie to explain the reasoning behind creating such a big ‘value for money’ record. The aforementioned outro was one of those genuinely eyebrow-raising moments as it sounds so different from Triaxis. So different in fact that I’m reminded of neo-prog giants Marillion as it plays. Fortunately, as Krissie reveals, I’m not the only one. There’s no doubting the quality of ‘Zero Hour’ in its entirety. However, I’m keen to identify what specifically Krissie is most proud of with this new album. As is her way, she tries to deflect the attention from herself initially. 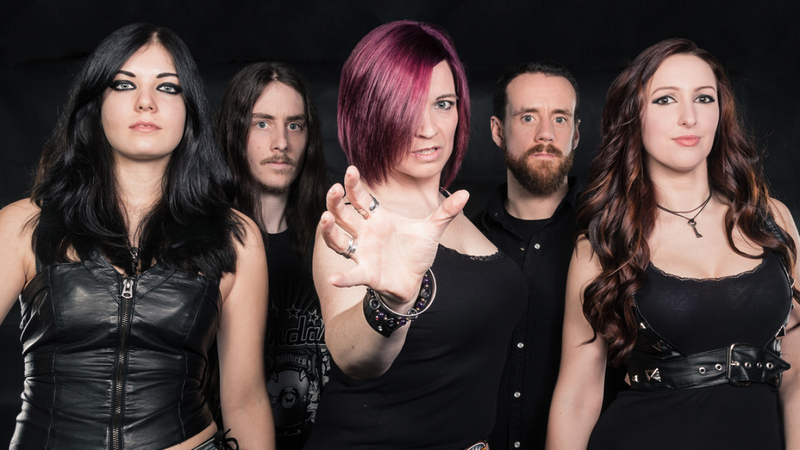 One of the things that makes Triaxis so interesting is, arguably, the fact that more than half the band are female. In terms of the band’s output, this shouldn’t, and doesn’t, matter one iota. However, I’m interested to find out what this is like from the band’s perspective given that there are many people out there who apparently do care about such things. Krissie understands the rather ham-fisted way in which I word the question and once again chuckles before offering her considered view. “It was an eye-opener a year last January”, Krissie continues, “when I decided to cut off all my hair. I had in the region of 250 comments asking why and if I’d lost my vocal powers. I was like ‘really?’ It’s just hair, it will grow back. But up until that point, it hadn’t registered with me how much people focus on the appearance of a band. I was quite shocked because I didn’t expect it in the metal world. I’d expect it in the pop and dance worlds where image is absolutely paramount, way above the music. I was disappointed to be honest but, to be fair, they got over it. And, to be honest, I think it works to our advantage having three girls in the band, but the boys are just as pretty.” Insert more raucous and friendly laughter here. At this point, I decide to wind down the interview. Not because I want to, but because I can hear my toddler and baby instigating World War 3 downstairs. The closing topic focuses upon Triaxis’ touring plans in support of the new record. I saw that. That must have been a great moment for you as a band? “I had the notice that it was happening from our PR lady one night when I was coming away from teaching a client. I was in the middle of Tesco when this notice came through and I may have been loud and done a happy dance down the aisle at that point”, Krissie laughs underlining the point that Triaxis are still very much ‘normal people just like you and me – they just happen to be very talented musicians as well, damn them! And rightly so too. However, as a final plea from someone with two very small children who finds it tough to get out to gigs currently, I ask Krissie to bring Triaxis to East Anglia, preferably Ipswich. The reply is not a flat-out ‘no’ either. Result. And with that, we say our goodbyes along with a few more laughs and a bit of friendly banter. Have I ever enjoyed an interview more? If I have, I’m hard-pressed to remember it. Triaxis really are the real deal; lovely people, highly talented and very driven to succeed. And, on the strength of ‘Zero Hour’, they deserve all the success that they can get. So do yourselves a favour and acquaint yourselves with Triaxis; you’ll not be disappointed, trust me. ‘Zero Hour’ is out now on Rocksector Records.